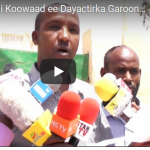 The main purpose of the visit was to demonstrate the partners’ continued support for Somaliland’s democratisation process and, in that context, underline the need for parliamentary and local council elections to take place on time on 12 December 2019. The delegation noted with concern the lack of progress in the preparations for the elections due to disagreements between the three main political parties and in the passage of electoral legislation in the Parliament. 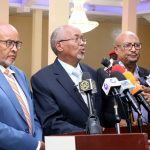 The delegation regretted this state of affairs, and underlined the risks that further delay would pose to the democratic credentials and international perception of Somaliland. Partners urged all political parties to demonstrate their commitment and will to make the necessary compromises to unblock the stalemate and to support the work of the Electoral Commission. They also urged the House of Representatives to accelerate the passage of the Electoral Law.